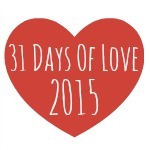 Today we have the lovely Chris Guest posting for us on the last few days (of the 31 Days of Love series)…. 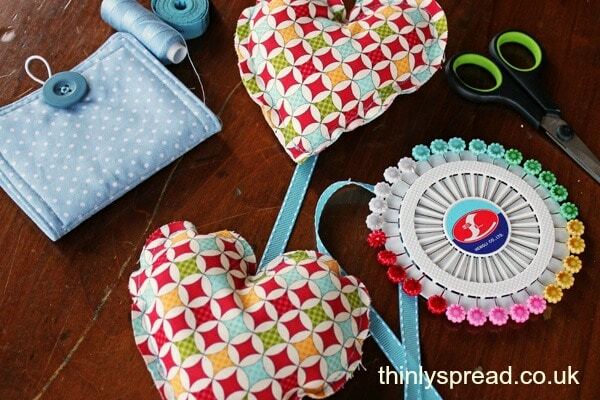 She shares a super cute and simple Heart Sewing Project! So pretty and fun! 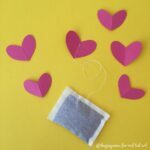 Check out all the other wonderful guests posts to date by browsing 31 Days of Love here! Hello! 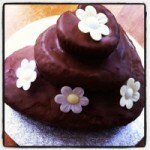 I’m Chris and I blog at Thinly Spread where I write about my life and loves as Mum to my four children. You can find me on Facebook, Twitter, Pinterest, Instagram, YouTube, G+ and over at Life is Delicious where I share vegetarian recipes as well as more crafts and lifestyle ideas – because one blog just isn’t enough! 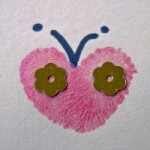 As my children have grown our crafting has evolved to accommodate their new skills and interests. 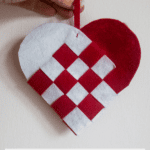 This fabric heart for Valentine’s Day is a very good introduction to some of the skills required when using a sewing machine but can equally be hand sewn to reinforce sewing skills or to introduce them to a beginner! 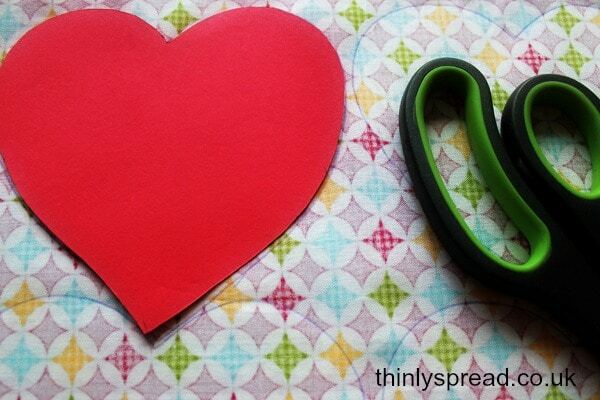 Begin by drawing or tracing a heart shape onto thick card to use as a template. Ours measures 12cm from top to bottom and 12cm across at its widest point. 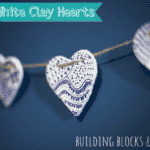 Pin your hearts, wrong sides together and your pretty pattern facing out at you. 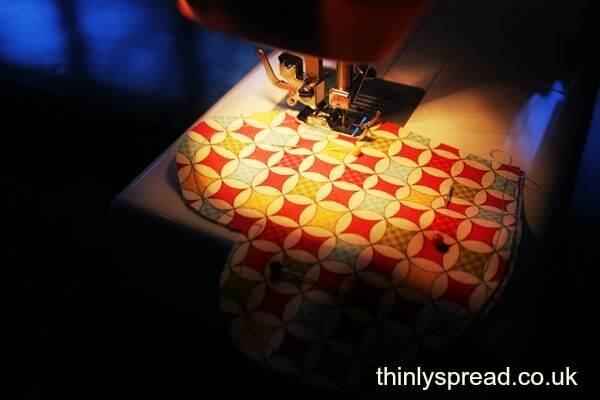 Sew all around the edge leaving a nice rough hem of about ¼ – ½cm depending how skilled you are with machine or needle. 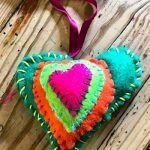 If you are teaching children to sew this is a good time to introduce how to thread a needle, how to knot your thread, how to back stitch and how to tie off. If you are introducing the machine you will be moving on from straight lines and can introduce moving your fabric around the needle to change direction slightly! Leave a gap of about 6cm along one of the straight edges for stuffing and tie off. 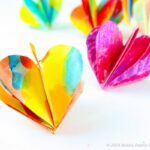 Stuff your hearts with toy filling, pushing it gently into the tops of the heart and the tricky corners with your fingers or the blunt end of a pencil. 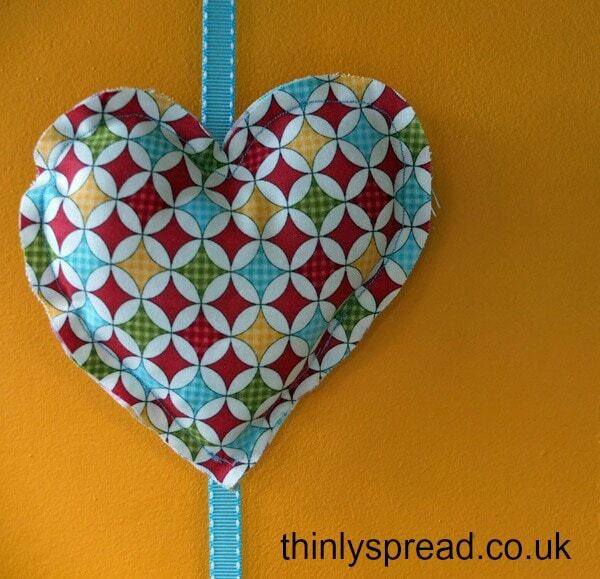 Hand sew the gap with back stitch and trim off any loose threads. 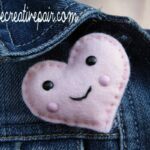 Pin your hearts onto your ribbon (we left about 15 com between each heart) and then sew on by hand with a few stitches. 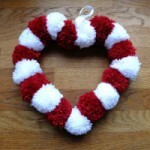 Make a loop at the top of your ribbon for hanging. 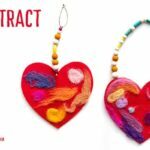 You could sew buttons on to the hearts, use a different fabric for each one or add bells and beads to jazz them up. I love how forgiving the rough edges are for a new sewer! 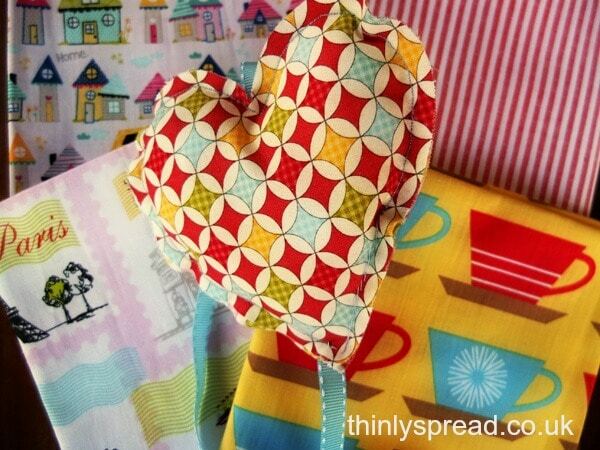 Which fabric do you think we should try next?! 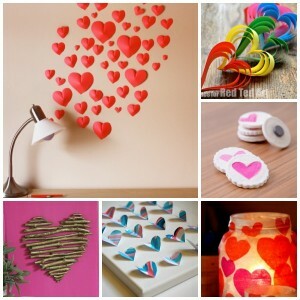 Cute hearts, than you for the inspiration.